MRBTN has released a Notification for 1884 posts of Assistant Surgeon,General Jobs. 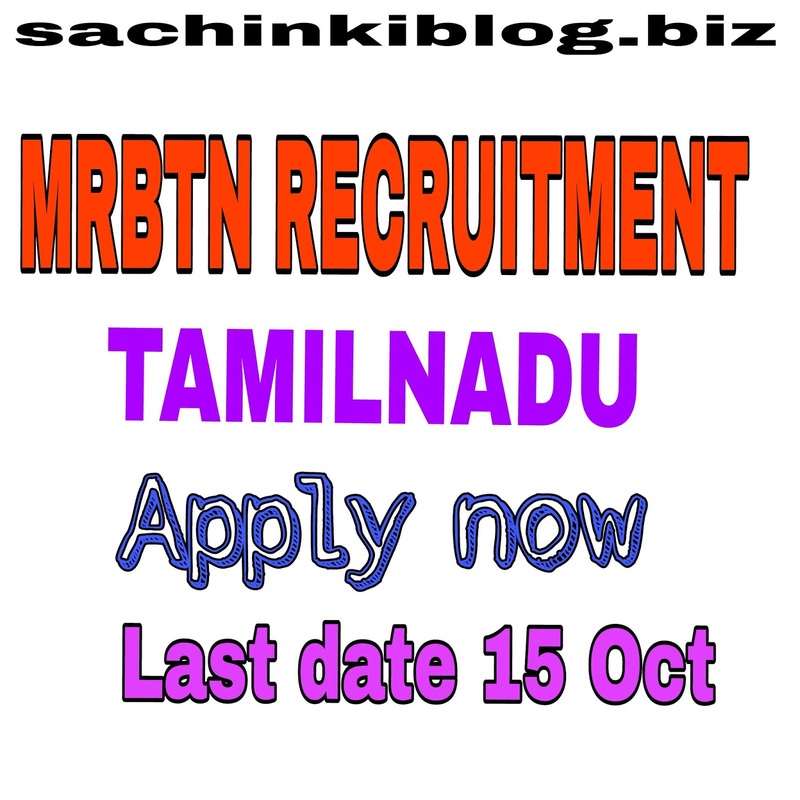 You can check here About the All important Details Of MRBTN medical recruitment of Tamilnadu 2018 we are providing here Some important details like Important dates, notification of MRBTN apply now 2018, All details has provided by sachinkiblog.biz for daily updates please subscribe us. Tamilnadu jobs vacancy 2018. Posted by sachinkiblog.biz latest government jobs Daily 2018-19. Qualifications :- Post graduated ,MBBS and Graduation. Payment mode :- fees will be accepted by both methods Online and Offline. candidate should have passed MBBS and must be a registered practitioner within the meaning of the madras medical registration act 1914 with 12 Months working experience as house Surgeon. For Qualify :- 35% marks and 30% marks for reserved Categories by board. For more details you can visit to official website of MRBTN and also can read full details of Of MRBTN notification. For latest updates you can subscribe us and plz like my facebook page.